Planning your outdoor space is the most important foundation of the masterpiece you wish to create. Having a solid plan in place is crucial to ensure you make the most out of the space you have, whether it’s large or small. Deciding on a colour palette and theme from the beginning will save you buying and returning items that don’t blend in well. 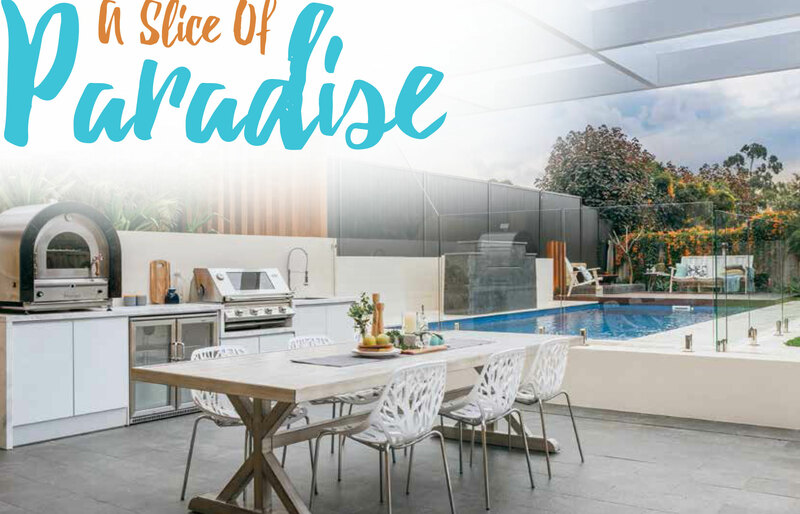 On-trend décor will make your space look modern, inviting and elegant, so read on to find out the latest outdoor inclusions that are gaining popularity among Western Australian homeowners. One of the first steps in creating the ultimate outdoor space is deciding how much maintenance you would be happy to undertake. Consider whether you want the space to be available whenever you need it, or whether you’ll only use it on special occasions, and let this guide your decision making. for the time-poor gardener include drought-tolerant varieties that can be left to flourish after planting with little upkeep. Great options include small flowering cacti and the classic native callistemon ‘Captain Cook’ tree, which will add some vibrant red to your colour palette. If grass isn’t an option for your garden, another low-maintenance trend is to incorporate hardy shrubs next to natural hardscaping elements like large rocks, which will add colour and splendour to your garden without the upkeep of grass. This technique also works well against rockbased retaining walls. For the avid gardeners out there, bold-coloured flowers of all kinds are on trend this year. Edible flowers like violas are making a comeback in both the gardening and social media worlds, and are incredibly popular at the moment. By artistically styling the layout of your plants, you can achieve a stunning effect – think hanging pots or an eyecatching feature wall. aesthetics – should opt for low-maintenance statement plants. Usually placed in a colourful or mosaic pot, statement plants include lavender, which is loved for its purple tones and scent, and the large camellia japonica, which is popular for its large, brightly coloured flowers. Colour-changing conifers likethe western red cedar – which can change from a deep green to golden with the seasons – are another great option that can also provide privacy. Next, you’ll need to decide on the type of furniture that will complement your space. 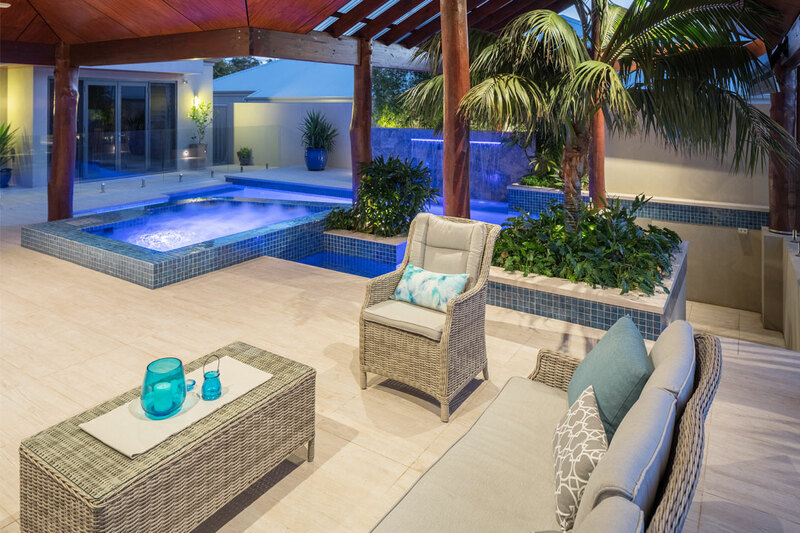 The idea of bringing the indoors to the outdoors is popular among homeowners today. Join comfortable fabrics like wool – which is soil-resistant and doesn’t shrink when it gets wet – with other outdoor-friendly blankets and cushions, and add an outdoor rug that is specially coated to withstand the elements to complete the look. Together, these additions create a peaceful aesthetic that will make your outdoor space perfect for relaxing. A couple of small armchairs and a coffee table is an ideal set up small spaces, while a couch or long wooden bench will work well in larger areas when teamed with an ottoman or some patio cushions. Use fabrics that match the colours, textures or patterns of your indoor furnishings for visual continuity. Today, locally sourced and recycled furniture pieces that are sturdy and reliable have largely stolen attention from the cheap and cheesy plastic furniture of the past. Rely more on solid products made of wood to make sure your personalised outdoor space will be enjoyed for a long time. Recycled materials like old tree stumps – which can be used as footrests – or planters made from old bricks are eco-friendly ways to personalise your outdoor space and make it blend in to your surrounding environment. Installing a great sound system in your outdoor space will create an inviting and enjoyable atmosphere, and will help drown out annoying noises like traffic or loud neighbours. A good-quality portable speaker may do the job for a small area, but it won’t suit a large garden. Instead, opt for multiple connected speakers, which will allow your favourite tunes to reach all areas of your backyard. It’s a great addition that you can enjoy as a family or with guests. A water feature can also bring music to your ears with the soothing sound of running water. A welcome sight for anyplanting with little upkeep. Great options include small flowering cacti and the classic native callistemon ‘Captain Cook’ tree, which will add some vibrant red to your colour palette. On-trend plants for the time-poor gardener include drought-tolerant varieties that can be left to flourish after outdoor area, water features vary in size and colour to suit your space. Place one in a pond to transform it into a water garden, or up against a wall for a cascading effect. Alternatively, a small bubbling or rockcolumn fountain can easily fit in small spaces. If your ultimate outdoor space is bound to be used for entertaining friends and family, then it’s a good idea to invest in a barbecue. A fourburner barbecue is ideal for larger gatherings and can be built into an existing outdoor kitchen, or used freestanding. For a smaller outdoor area, a portable grill is ideal. Both options can be used for everyday cooking, and will encourage you to make the most of your outdoor haven. Lighting is essential for your newly revamped space so that it can be enjoyed at all times.Your outdoor area is supposed to be about relaxation, so don’t use lights that are blindingly bright. Opt for more subdued styles like festoon lights or lanterns, which will softly light the space and create ambience. Spotlights positioned throughout the garden will highlight particular plants or features and draw the eye from inside the home. Adjustable mood lighting that can change intensity and colour is popular at the moment, as it’s a great way to customise your surroundings to suit a purpose – such as a party or romantic dinner – at the touch of a button. With this option, make sure to choose colours that complement or enhance the colour palette you’ve used in your furnishings. Another wonderful way to enhance your outdoor area is to add a flickering fireplace. These make a great centrepiece and will be a conversation starter. Relaxing and romantic, the flames won’t just light up the area, but will also be a great source of heat on chilly days and nights. The best part about decorating your outdoor space is that you can turn it into whatever you desire. By planning and organising different elements, you can set up the space to perfectly suit your lifestyle. Whether you prefer a classic, cosy or extravagant look, the secret to achieving an outdoor haven that you’ll adore is all in the details.